ABC’s plans for its American Idol revival are now complete, as the network has just lured Ryan Seacrest back to host the talent show’s second act. As usual, Seacrest made it his job to announce his return, multitasking on this morning’s Live! With Kelly And Ryan. Seacrest graciously let his co-host Kelly Ripa break the big news; she effused over his 15-year stint as the emcee of all that warbling, claiming that there’s no one else who could do that job (somewhere, Brian Dunkleman sighs). But ABC and Seacrest released a joint statement with their own excited exclamations about their latest collaboration (Live airs on ABC). “To be asked to return this year, at my new home at Disney ABC, is an honor, if not a bit surreal. 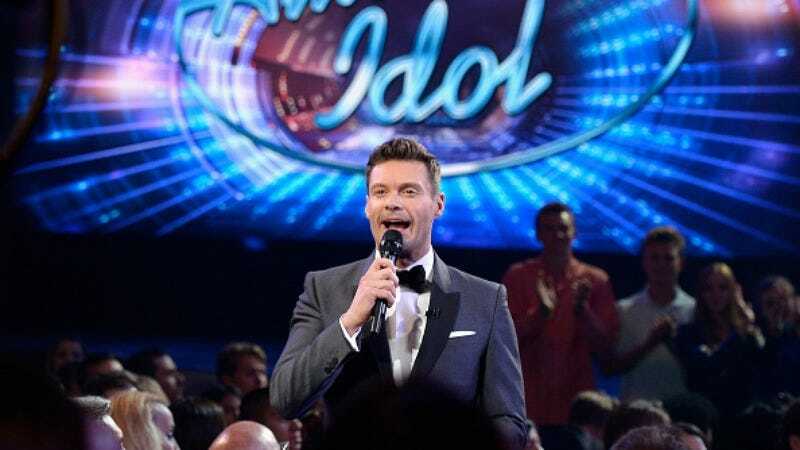 I believe ABC is the perfect home for Idol,” Seacrest said via press release. The new season of American Idol will feature Seacrest as host, Katy Perry as one of the judges, and clutter up the nightly TV listings with multiple-episode airings. It’ll be like it never went off the air.